MANILA --- The chairman of the House appropriations committee has assured funding for undernourished children, especially in the provinces, as the House is set to begin budget deliberations by the end of the month. In a statement issued Friday, committee chairman Karlo Nograles said he will prioritize funding for the recently-passed legislation that would provide a national feeding program for children. Nograles said a huge percentage of Filipino children, especially those in the province, suffer from stunting because of malnutrition and undernutrition. He cited data from the Philippine Statistics Authority showing that the stunting rate in the provinces is high, with some regions reaching 30 to 39 percent, and in other areas reaching higher than 39 percent. 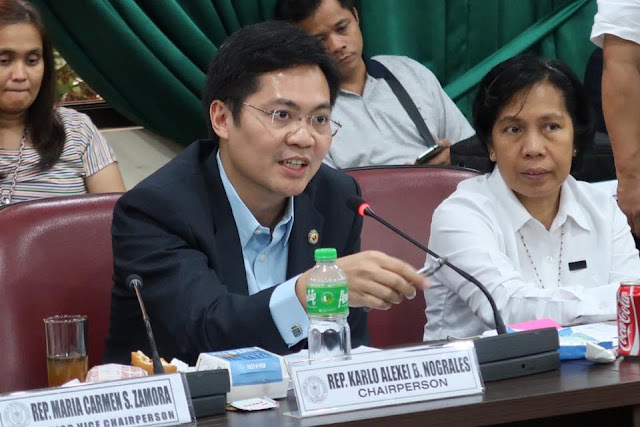 "It's clear that there must be funding for the different components of the National Feeding Program: the milk feeding program for those in daycare and school-based feeding program for students," Nograles said. President Rodrigo R. Duterte has formally signed a law institutionalizing a national feeding program for undernourished Filipino children in public schools. Duterte signed “Masustansyang Pagkain para sa Batang Pilipino Act” (R.A 11037) last June 29, to address the problem of undernutrition among Filipino children in daycare centers, kindergarten, and elementary. Under the law, the government shall provide a supplemental feeding program for daycare children, a school-based feeding program for public school children from kinder to Grade 6, a milk-feeding program, a micronutrient feeding program, health examinations, vaccinations, and deworming. The government should also encourage schools to devote a portion of land or space for the cultivation of vegetables and other nutrient-rich plants. Water, sanitation, hygiene, and an integrated nutrition education, behavioral transformation, and social mobilization should also be in place to promote a holistic and integrated approach to health and nutrition education.